What Top Six Benefits Can You Expect to See When You Have Your Roof Replaced? Such as a Return on Investment (ROI), a Reduction in Your Energy Costs, and More! Is a New Roof REALLY Worth It? 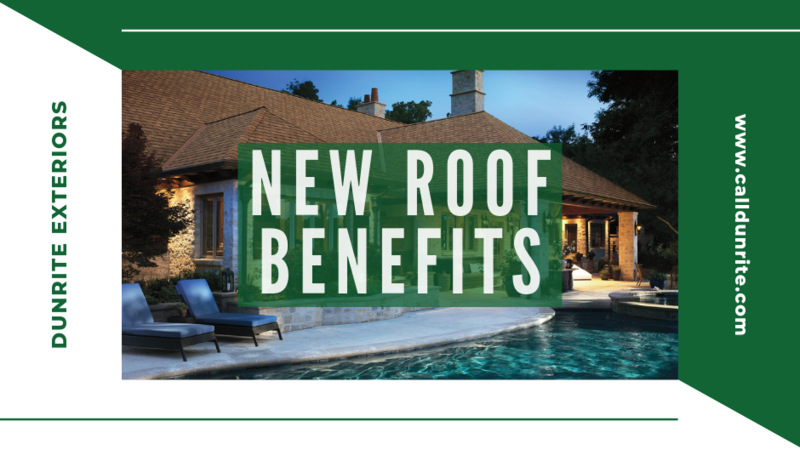 A roof offers more benefits than just its good looks! As a matter of fact, you are going to find that there are countless benefits to a new roofing system. Some homeowners balk at the cost of a roof, especially if they are planning on selling their home. While a roof is a significant investment, it's important to keep in mind that like any sound investment, there are returns. Combined estimates put a quality roofing system ROI at approximately 70%; this means that you will recoup around 70% of each dollar spent on this particular home improvement when you sell your home. Because a new roof has a likely lifespan of 20 or more years, it is worth investing in quality materials and expert professional installation from the start. Spending wisely once to secure the best materials and most proper installation means no additional, unforeseen expenditures down the road. In addition to your return on investment, when considering a new roofing system, there are a number of other factors to take into account. A professionally installed roofing system from a trusted manufacturer can help you significantly reduce your energy costs and make your home more comfortable. Some of today’s quality roofing systems have increased insulating values. Likewise, “cool” roofing options from manufacturers like Englert, Certainteed Solaris, Firestone, Decra and Classic Metal Roofing Systems can increase your heat deflection and save you even more money in energy costs. One of the most important things your roof does is keep the temperatures within your home stable and comfortable. An old roof is far less likely to do its job to keep warm air in during colder winter months and keep your home cool during the warmer summer months; this can increase your energy cost significantly in just one season not to mention the long-term compounding costs. Beyond return on investment and energy savings, there are also safety issues. Old roofs nearing the end of their usable life may present some possible safety hazards like water damage and the associated risk of health-compromising mold and mildew. Additionally, an old roof is far more likely to suffer significant damage during inclement weather like high winds, heavy snowfall or a severe storm. A structurally sound roofing system using the best available materials is an investment in your family’s home. A nice looking and expertly constructed roof can add to the curb appeal of your home for your own enjoyment or when you are selling your home. A quality roof installed by a reputable roofing contractor will help you stay safe, comfortable and may reduce your energy costs. A professionally installed roof with a strong warranty is a great feature and provides added value when selling your home. In today’s competitive real estate market, features that add value and curb appeal can make all of the difference when it comes to listing price, selling price and how quickly a home is sold. An aging roof is a very hard sell for any potential buyer because of the fear of being saddled with a costly, unplanned repair after the significant expense of purchasing a new home. Are You Ready to Replace Your Roof? Give Dunrite Exterior a Call Today! As an industry leader based out of Hudson and with more than twenty years of roofing installation experience, we have become one of Ohio’ s most reliable and respected roofing companies. We continuously strive to provide a high level of value and customer service to our residential and commercial customers. We proudly service Northeast Ohio’s roofing needs in Akron, Cleveland, Canton, and all surrounding areas. We pride ourselves in being at the forefront of roof system technologies, and application techniques. DunRite Exteriors is the only roofing contractor in Ohio certified to offer the highest rated warranties of the three major shingle manufacturers - GAF. Here at DunRite Exteriors, our entire team is committed to meeting your roofing needs, and as a result, a high percentage of our business is from repeat customers and referrals. If you are ready to get started today, please feel free to give us a call at your earliest, and we would be more than happy to assist you! Our team members look forward to hearing from you and can't wait to work with you soon!